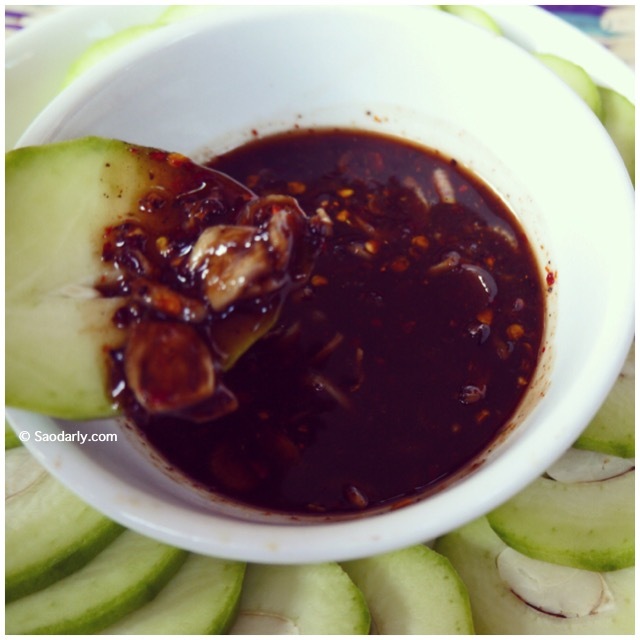 Young green mango (ໝາກມ່ວງ) with spicy fermented fish dipping sauce (ແຈ່ວປາແດກຫວານ) for afternoon snack in Vientiane, Laos. 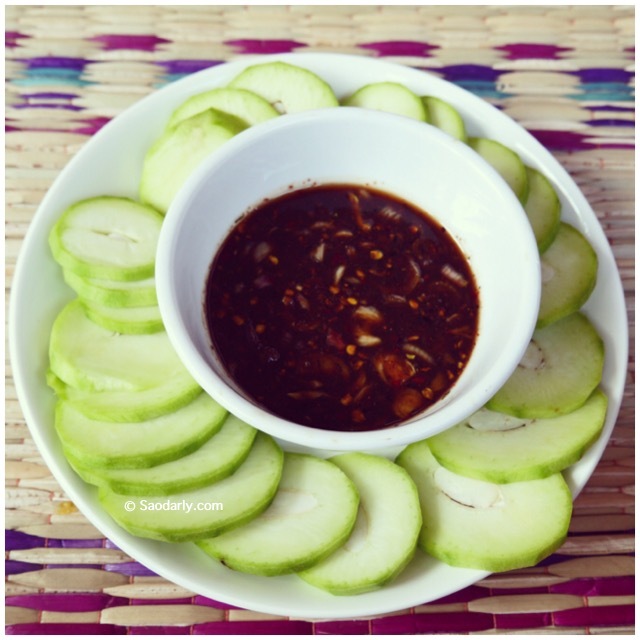 These small green mangoes are the sour type and not the milder nutty tasting one (Mak Muang Mun ໝາກມ່ວງມັນ) like what many people are fond of. 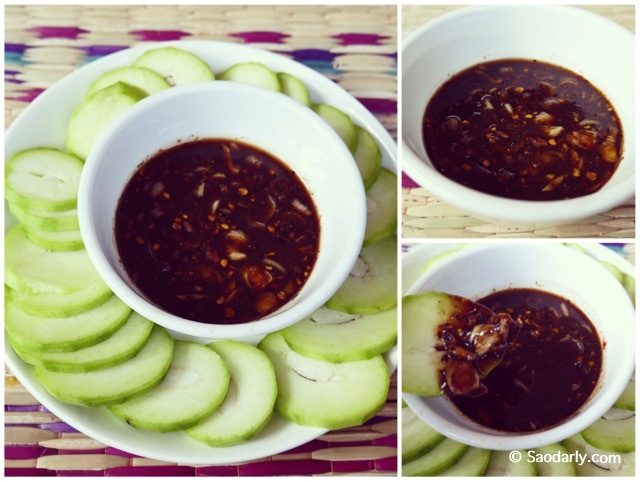 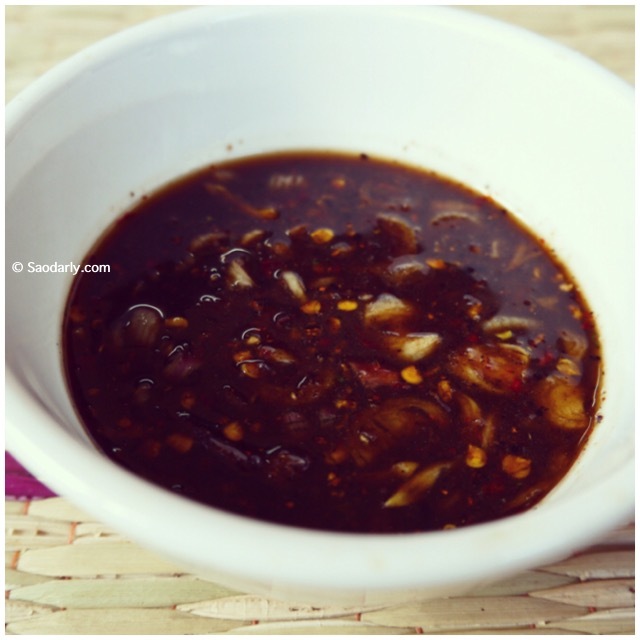 The dipping sauce is quite easy to made by mixing the following ingredients: cooked fermented fish sauce, sugar, crushed dried roasted chili peppers, crushed roasted sticky rice, and shallots.